As with most wineries, our wines are aged in oak barrels from France, US and Romania. 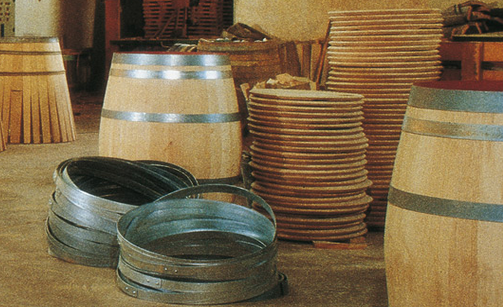 However, we believe that the curing of the wood plays a crucial role in revealing the aromatic characteristics of a barrel and contributing to the wine. We use rain as a physical mechanism to wash and eliminate the most astringent tannins and then allow the barrels to dry naturally. The development of certain strains of fungi during air drying contributes to the evolution of the phenolic profile of the wood, and transforms the lignin vanillin. A much more effective process than artificial drying. Years of experience with these barrels, temperature, and duration have given us the right combination of factors for our balanced wines known for its smokey roasted notes. 100% Tempranillo from old vines aged for 30 moths in oak barrels.